– LP (+ download) limited to 200 copies on OLIVE GREEN vinyl. 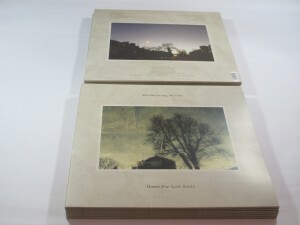 – 6 panel fold out CD limited to 100 copies which includes ‘The Waning Mills Chronicles’ EP and two bonus tracks. The initial run which came out in March sold out on pre-order and so hopefully this will appease some of the folk who missed out that time round. You can PRE-ORDER direct from Home Assembly who are offering FREE SHIPPING on all pre-orders. Or if you prefer to deal with a store then Norman Records have it up for pre-order now. Expected release date is July 14th and it should get full distribution this time!